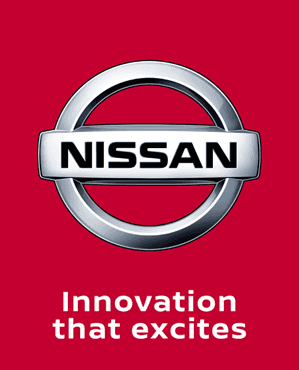 At Charles Hurst Nissan approved used car showrooms in Northern Ireland we stock a range of second hand, and used Nissans for sale including the iconic Micra. All of our cars are thoroughly examined by our expert engineers so that you can rest assured you are taking home a quality car. We&comma; at Charles Hurst Nissan Newtownards&comma; are pleased to introduce this stunning 2014 Nissan Qashqai 1&period;2 DIG-T Acenta Premium&comma; finished in Nightshade Metallic Paint&period; With only 53&comma;872 miles&comma; this car comes backed our 12 month Nissan Intelligent Choice warranty&period; This is incredible value for money&comma; priced at only £10&comma;995! This fantastic car features 17 inch satin silver alloy wheels&comma; increasing the comfort of the drive&period; The radio unit features DAB&comma; FM and AM radio&comma; with CD player and Bluetooth connectivity allowing you to use Spotify and Apple music for all your favourite music&period; It also has front and rear parking sensors&comma; along with a full colour reversing camera to make parking a breeze&period; So what are you waiting for? Call us today on 02891 810555 and book your viewing and test drive now! We&comma; at Charles Hurst Nissan Newtownards&comma; are pleased to introduce this stunning 2015 Nissan Qashqai 1&period;2 DIG-T Acenta&comma; with the Smart Vision Pack&comma; finished in Magnetic Red Metallic Paint&period; With only 37&comma;425 miles&comma; this car comes backed by our 12 month Nissan Intelligent Choice warranty&period; This is incredible value for money&comma; priced at only £10&comma;995! This incredible car features front and rear parking sensors&comma; making parking a breeze&period; The radio unit features FM and AM radio&comma; with CD player and Bluetooth connectivity allowing you to use Spotify and Apple music for all your favourite music&period; So what are you waiting for? Call us today on 02891 810555 and book your viewing and test drive now!